Our range of products include sheeter knife. 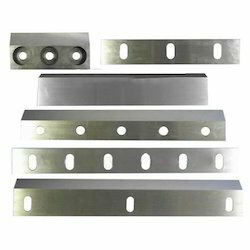 We are engaged in manufacturing Sheeter Knife that are designed to various specifications in order to meet a various requirement of the clients. The maximum length of 3500 mm in a single piece. Design as per the drawing. Hardness as per the customers requirement.